How To Replace Main Switch Box? If you have a situation where the main switch box or the fuse inside it blows, do you know how to get things repaired and get the power supply back again? While you might agree that hiring a professional electrician would be the best way forward, you should know some DIY ways and means by which you could get things repaired and set right. 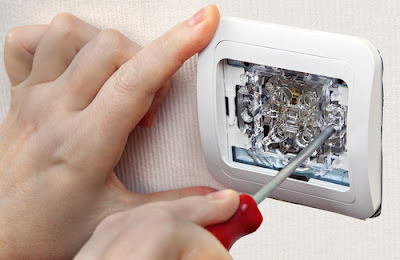 In most cases if the fuse gets blown off or if the circuit breaker gets tripped then you may have no other option but to get the entire main switch replaced with a new one. While there could be different types of switches that could be used in homes, offices and other commercial spaces, when it comes to replacing them, the procedure which you follow is one and the same. The only thing that you might be willing to do is to replace the faulty ordinary main switch with a silent one which hardly makes a noise. However, you must have some basic idea when it comes to replacing the main switch box which could be supplying power to your entire home. The first and foremost thing which you must do is to ensure that the power supply to the switch and in fact to the entire home is turned off. 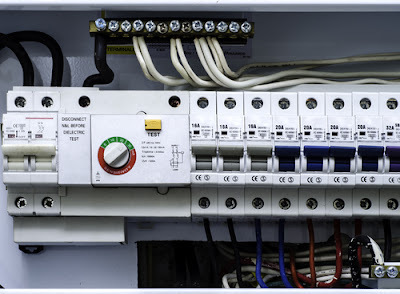 You can get the power connection off either by removing the main fuse or by tripping the breaker which is serving that particular circuit where you are working on. This is very critical and vital to prevent electric shocks. The main power supply would be quite powerful and suffering an electric shock could be very serious and could even prove fatal. Once this has been completed you must start by removing the main screws which are holding the main switch box in place. Once the screws have been loosened the cover will come off and you will be able to lift the plate off. You may also have to carefully remove the screws on which the switch is mounted. Only when this is done would it be possible to pull the switch out from the switch box. While the process of unscrewing and taking the main switch box will not be a tough task, you may have to spend some bit of time understanding the main wiring work of the switch. Here are a few things which you should bear in mind. The wiring structure and setup would depend on the place where the switch is located with particular reference to the rest of the circuitry. 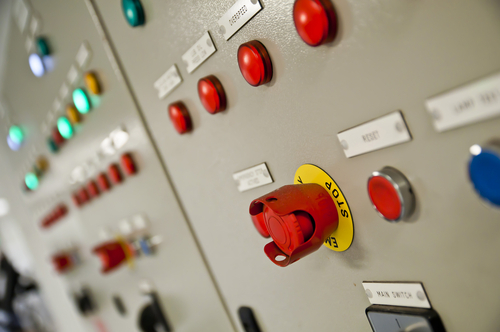 When you are handling a three way main switch, you could be in for some confusion and complexities. This is because the entire fixtures could be managed and controlled from two unique and different locations. Hence to avoid confusion, there are a few things you should keep in mind. You must be sure that when you open the old faulty main switch you know how to fix the new one following the same logic and methodology. You could perhaps take a picture of the old main circuit wiring before opening it. This will perhaps make the job that much easier and less complicated. If possible and if the space permits it would not be a bad idea to try and transfer one wire each time from the damaged main switch box. In the absence of the required space, you could give some labeling to the wires with the help of a masking tape or even with the help of a pen. This will help you to remember as to which wiring has to be inserted where. The next thing which you must do is the find out ways and means by which you can loosen the terminal screws. This will help you to remove the wire from the faulty switch. Once this has been done, you must know how to put the loops around the screws in the new switch. This should be done in such a way they will get tightened as you start tightening the screws. You could use right sized nose pliers and use them to tighten the loops around the screws. The screws should be tightened very firmly. Once this has been done it is now time to place the switch onto the box in the wall specifically designed and installed for that purpose. Once the new main switch has found its home in the wall, you should use the mounting screws. The cover plate must be replaced and the screw must be tightened properly. You must ensure that the screws are tightened properly. Once you are sure that the wiring has been done properly and the main switch has been mounted properly in the casing, you can go ahead and start the process of restoring power. This can be done either by getting the fuse replaced or by turning the circuit breaker on. Once this is done You must check whether the switch is operating properly. Switches with black wires are most suitable when it comes to replacing ordinary switches. Replacing them is the same as replacing black wired main switch boxes . You could also choose dimmer switches. They could help a lot in coming out with switches which define the mood of the entire home or the room where the switches are being replaced. It could be in the form of a slider or a knob. Hence at the end of the day there is hardly any doubt that changing the main switch box is not a difficult job provided one knows how to go about it. There are a number of resources available on the internet which will make the entire job of replacing main switch quite easy. The methods and processes are the same and it is about understanding the same and then moving forward.